As one component of a 9,000 square foot renovation project in Greenwich, Connecticut, this new 1,275 square foot multi purpose building was planned to provide ample garaging for three cars and a light-filled exercise studio on the attic floor. 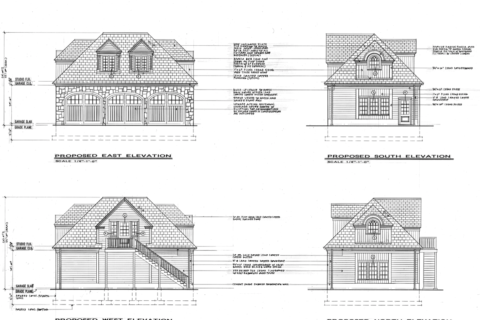 Situated at the head of the service driveway, the garage anchors the Western property boundary and is the first of two planned outbuildings and connective structures. 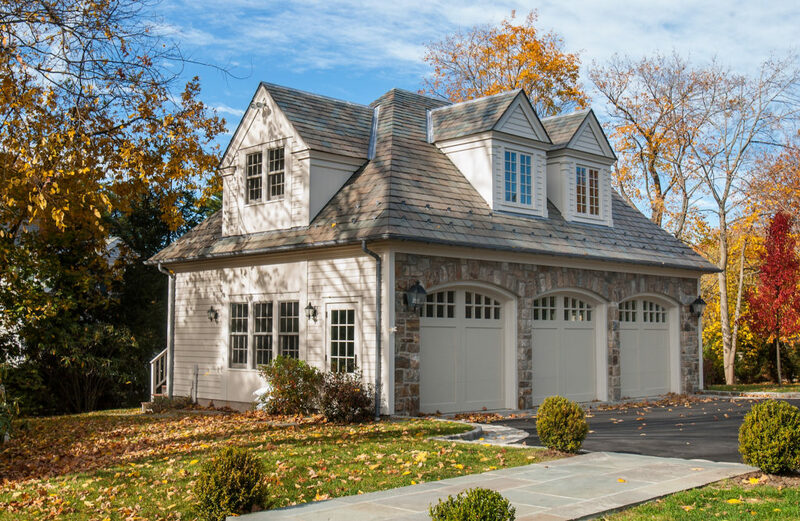 The garage exterior matches the main house slate roofing, trim detailing and on site quarried stone, veneering the approach façade. In a departure from the all stone veneer of the main house, wood clapboard siding was utilized on the remainder of the exterior giving the garage a slightly less formal aesthetic. Flush wood siding supplants the side wall clapboard siding both above and below the garage level and attic floor dormer windows.